KABUL, Afghanistan The deputy commander of NATO's military force in Afghanistan said on Sunday that incidents such as the fighting in Wardak province that killed two Americans and three Afghan soldiers would not weaken the strong relations between international and local forces. British Lieutenant General Adrian Bradshaw, of NATO's International Security Assistance Force or ISAF, called a last-minute news conference in Kabul to address the incident, even though he had few details to give. He said the initial report of an insider attack should be amended to note that the incident "is now understood possibly to have involved insurgent fire," and tried to stress that relations between international troops and their Afghan allies "are very strong and they're very effective." The fighting started on Saturday when what is believed to have been a mortar fired by insurgents struck a checkpoint set up by US forces in Wardak, a provincial government spokesman said. The spokesman said the Americans thought they were under attack from a nearby Afghan army checkpoint and fired on it, prompting the Afghan soldiers to return fire. The Afghan Defense Ministry said the gun battle was the result of a "misunderstanding" between international forces and Afghan soldiers manning a checkpoint in the Sayd Abad district. While it may be days before it becomes clear who fired on whom first, the incident illustrates how tense relations have become between international troops and their Afghan allies. Officials on both sides went into damage control mode, arguing that Saturday's violence did not mark a new low in Afghan-US relations and urging patience while investigators tried to figure out exactly what had happened. The toll has climbed steadily in recent months with a spate of attacks by Afghan army and police against American and NATO troops, and questions about whether allied countries will achieve their aim of helping the Afghan government and its forces stand on their own after most foreign troops depart in little more than two years. Attacks by Afghan soldiers or police - or insurgents disguised in their uniforms - have killed 52 American and other NATO troops so far this year. The so-called insider attacks are considered one of the most serious threats to the U.S. exit strategy from the country. 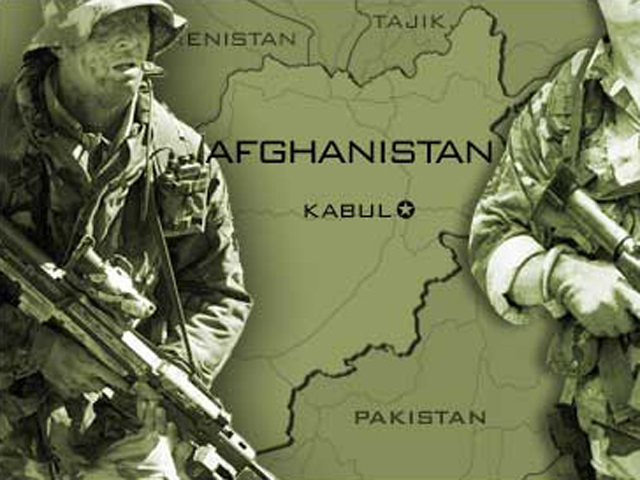 In its latest incarnation that strategy has focused on training Afghan forces to take over security nationwide - allowing most foreign troops to go home by the end of 2014. Even with 33,000 American troops back home, the U.S.-led coalition will still have 108,000 troops - including 68,000 from the U.S. - fighting in Afghanistan at the end of this year. Many of those will be training the Afghan National Security Forces that are to replace them.